Mardi Gras is almost here! And we have the perfect cajun inspired menu to jazz up your celebrations. 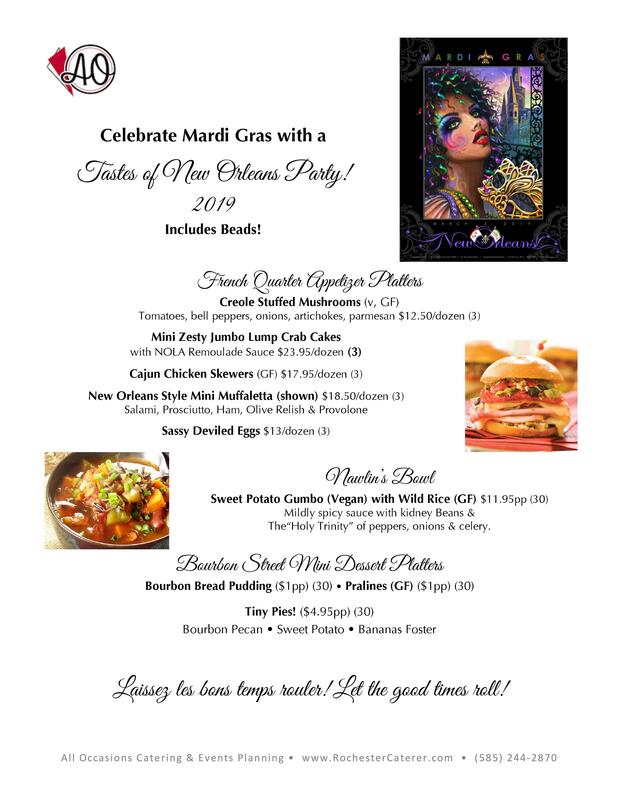 Our 2019 New Orleans Party Menu gives you a mouth-watering taste of the French Quarter and includes a variety of Gluten Free and Vegan options. Chef David has outdone himself again with our delicious Vegan & Gluten Free Sweet Potato Gumbo with wild Rice! 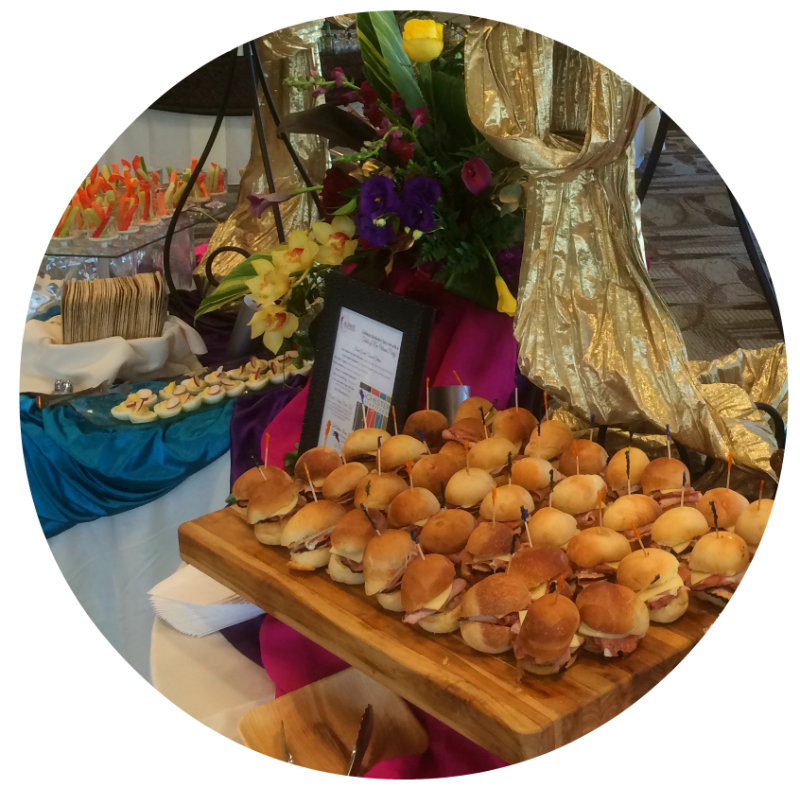 Did we mention it's a great menu for when you need to spice up your company meeting? Ask us about setting up a Mardi Gras themed display! or Keep scrolling to view the menu. Does All Occasions offer a bar package? Yes! Click here to learn about our bar packages. Does All Occasions offer server or bartending staff? Absolutely! Let us take the anxiety out of your event. We work with only the best, vetted servers and bartenders. Click here for more information!